Looking for a good GPS sports watch? This article provides detailed information on the new range of TomTom GPS sports watches now available in India too. You will know the distinct features of each as well as the price. TomTom is a globally reputed brand for navigational aids & its services include providing fleet management solutions. The company's products include car navigation products, as well as accessories like carry cases, chargers & cables, mounts & docks, etc. TomTom has recently launched its debut range of GPS sports watches in India, aimed at the urban youth. 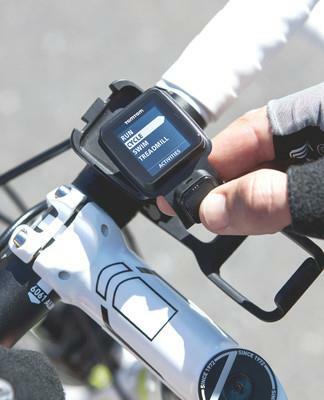 Whether you are a cyclist, swimmer or runner, you will benefit with the TomTom GPS sports watch. TomTom Runner GPS watch: Rs. 12, 999/-. Colour: Dark pink (looks like purple to me as per image below) and grey combo. TomTom Multi-Sport GPS watch: Rs. 15,499/-. Colour: Dark grey. TomTom Runner Cardio GPS watch: Rs. 20,999/-. Colour: Black and red combo. TomTom Multi-Sport Cardio watch: Rs. 23,499/-. Colour: Black and red combo. The watches are all lightweight so as not to weigh down on the wrist and are designed in such a manner as to fit any wrist size comfortably. No need to peer at the display screen! The display of the TomTom watches are not just extra-large but also of high resolution & contrast. It is thus easy to check out the stats of your pace, distance covered and time in which done. There is no problem either in reading the figures in bright sunshine. Even better, the display is long-lasting as it is resistant to scratches & impacts and highly durable. The TomTom range stands out from other GPS watches due to its one-button control feature. Unlike other watches which have multiple buttons, those of TomTom have a single button. This enables you to navigate in any direction, up or down, left or right. You can thus access the stats & features of the watch very easily. What's more a one-button control means that you can operate it without difficulty while on the move & even when wearing gloves in cold weather conditions. Goal: This mode enables you to set a specific goal. For example, you may decide to set your goal to run a certain distance or you may set a goal of a certain amount of calories. Once you set the goal, you can then know your progress towards that goal with the help of the clear graphics and timely alerts. Race: Using the race mode, you can work towards attaining your personal best or improving on your most recent run/swim/cycling best time. With the help of the graphics, you can track your performance on the go, in real time. Zone: Want to set a target for pace? You can do so with a full-screen graph. You also have the option to use the heart-rate monitor and track heart rates during your workout. Are you the type who prefers indoor workouts on a treadmill? The TomTom sports watch has built-in sensors to enable you to track your strides accurately for monitoring both pace & distance. Being a GPS watch, the TomTom range naturally has a GPS feature incorporate to find precise locations by using current GPS and GLONASS satellite technology updates. You can synchronize all your stats, analyze them and even share on the many public community fitness platforms. Other than TomTom's very own one, namely the TomTom MySports website, you can share on MapMyFitness, RunKeeper, TrainingPeaks and Strava. The watches can be used in any kind of weather and are also waterproof up to 165 feet / 5ATM. The battery of each watch has a long life, up to 8 hours for GPS + HR and up to 10 hours for GPS only. The watches incorporate Bluetooth® smart so you can connect to sensors using the latest wireless technology. Speed zone for high tempo training to improve speed & fitness. Endure zone for moderate to high tempo training to improve lung & hear capacity. Fat-burn zone for moderate tempo training which is specifically for weight loss. Easy zone for simple warm-up and cool-down sessions. Sprint zone for use during interval training sessions. 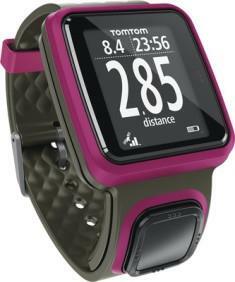 This GPS sports watch has the same features as that of the TomTom Runner. Additionally, it incorporates special attributes for multi-sport athletes to track their distance, time, speed and other key metrics when they cycle or swim. There is also an option of a dedicated bike mount to check out your key stats at a glance (see image below). So what are you waiting for? Let the TomTom GPS sports watch help you to keep fit! Garmin is a leading brand in Global Positioning System (GPS)tracker.In this article I have reviewed the Garmin nuvi 50LM. Find more information including short review, specification and price of this GPS tracker. The poor older watches we used to wear have lost their charm. These are the days of wearable devices which help you do more than just checking the time. They have replaced most of the gadgets we used in the past. Add to it the the plump GPS devices we are used to. The device you have reviewed here is a perfect example of this. TomTom- a world renowned navigation service is quite apt in introducing this awesome wearable. Thanks for bringing up this device to our attention.